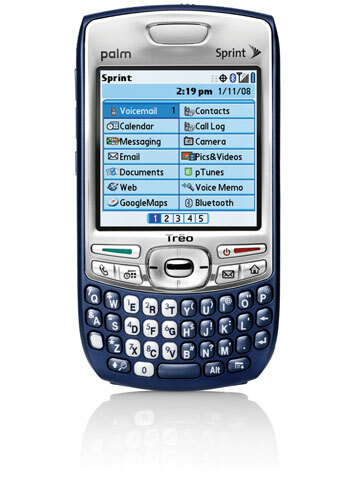 Palm and Telus have announced the exclusive Canadian release of the Palm Treo 755p. Evolving the Treo family to keep mobile professionals connected, productive, and entertained, Palm Canada and TELUS today announced the exclusive availability of the Palm Treo 755p smartphone in Canada. The CDMA Treo 755p offers TELUS Mobile Email, providing consumer and business clients with automatic updates to their email, calendar, contacts and task information; Google Map for mobile; as well as the latest Treo design with integrated antenna, slimmer form factor and mini-SD slot. The Treo 755p brings customers quick, wireless access to web, email, business and multimedia applications, so consumers and professionals can stay connected while on the go. "In today’s fast-paced business environment, Treo smartphones have become a crucial productivity tool for mobile professionals who need quick access to advanced applications in a device that packs a computing-power punch," said Michael Moskowitz, vice president, Americas International, Palm, Inc. "The slimmer Treo 755p is a stylish, must-have device ideal for business professionals looking to manage a variety of communications and information while on the go." "Palm Treo smartphones are familiar communications tools with TELUS clients and, as the exclusive Canadian carrier of the Treo 755p, we continue to demonstrate our leadership in delivering the latest communication tools that serve both professional and personal needs," said Stephen Ospalak, TELUS vice president of Subscriber Devices. "The Treo 755p delivers fast and efficient email on the TELUS wireless high-speed network in a stylish form factor that’s packed with the multimedia features that clients demand."